Mix & Mingle with the artists 6-8pm // Free, All Are Welcome! R H Y T H M S is an exciting duo-art exhibition that will feature new work by artists Jorge Caligiuri and Karlee Mariel - This compelling pairing of artists inspires a unique combination of organic and geometric forms through textures and tactile surfaces. Inspired by dynamic rhythms and patterns of motion observable within our environment, artists Mariel and Caligiuri explore the space that exists between the Natural world and our presence within it. Organic and geometric forms stir the senses and carry the viewer through visual depths. Textures and tactile surfaces draw the eye from tension to harmony which expand and contract within the dynamic artworks. This compelling pairing of artists inspires a unique combination of forces seen and unseen that exist within our environment, the natural world, and ultimately, ourselves. 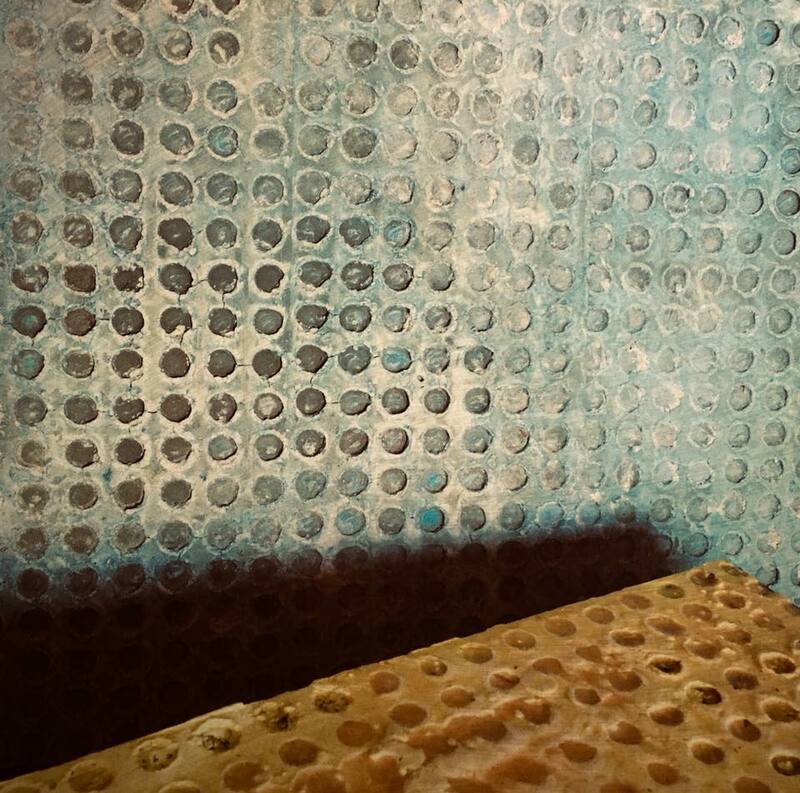 For this exhibition, Jorge Caligiuri has combined two different techniques, encaustic and fresco, to fragment the space in myriad ways with the line as the primary tool, and pattern and color playing important, supporting roles to express, as the artist states, “the interplay between what nature has created, and what man creates in organic environments”. In these large-scale works, Caligiuri is not afraid to push the boundaries of the mediums nor the potential conflict of marrying two disparate, long-standing schools of painting in a single installation.Encaustic painting is the older of the two techniques, dating back to ancient Greece. The word ‘enkaustikos’ in Greek means ‘to burn in’. This painting method involves working with pigmented, molten beeswax that, once it has been applied to the substrate, is fused with a torch in order to become permanent. Fresco was a technique that was widely used from the time of the Renaissance masters to paint churches and secular buildings. This technique used slaked pit lime and certain non-reactive pigments to avoid salts from forming on the surface which would erode the painting. Though the technique of encaustic painting has remained essentially the same over the centuries, the art of fresco painting has evolved and splintered into many different styles, and modern artists use it for both traditional and non-traditional work. Jorge Caligiuri is a non-objective artist who works primarily in fresco and encaustic. He was born in Rosario, Argentina. He attended the Prilidiano Pueyrredon National School of Fine Arts and the UBA Architecture University in Buenos Aires, Argentina.